Do you need conveyancing services for buying and selling in Brighton? Fordes offers affordable and streamlined services that result in fuss free property transfer. We are a professional conveyancing and property settlement firm. We operate independently of any banks/financial institutions. As a result of being a privately owned company your interests are always put first. Due to our client first focus, we find our clients come back to us when they need further conveyancing help. Fordes provides services throughout Melbourne. Our specialist services for properties valued over several million dollars means we offer very tailored conveyancing. The Brighton apartment market has grown and we have completed many apartment transfers for buyers and sellers. Our understanding of the body corporate structure and apartment living means we know what to look for in Brighton property contracts. At every step we ensure our clients meet their legal obligations and all the while protect their rights and interests. We recommend ensuring every legal process is followed to the letter when buying or selling such sought after property. Fordes offers a speciality service when dealing with properties that bring a multiple million dollar price tag. If you require such conveyancing services, please contact us and we will refer you to our specialist team. If your Brighton property does not fall into the aforementioned value, our services are still of the highest standard. We have previously dealt with property transfer in Brighton many, many times. Our streamlined conveyancing process means no delays in settlement and we offer up front prices – that are very affordable. 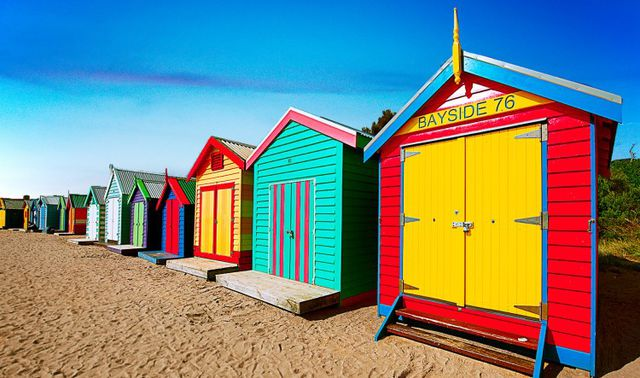 Brighton is known for offering luxury living, bayside of inner Melbourne. A well established area with a gorgeous beach, and home to mainly older couples and their children. The area is home to many styles of mansions, such as Edwardian and Victorian. But also new and modern architecture. According to Domain, the median house price in Brighton is over 2 million. Some homes, especially the mansions built along the foreshore, and known as the Golden Mile, can command prices of several millions. Conversely the suburb has seen a boom in apartment building and now accommodates people down sizing. Living in Brighton means you have access to a lot of fantastic amenities. There are three railway stations, two cinemas, sporting fields, several shopping strips, cafes and restaurants and sought after public and private schools. All this, along with the aforementioned beach, which brings water sports and beach-side entertainment.